Every picture that we take has a story to tell. The enthusiasm and passion we have in telling our story relates to the personal connection we have during an event. 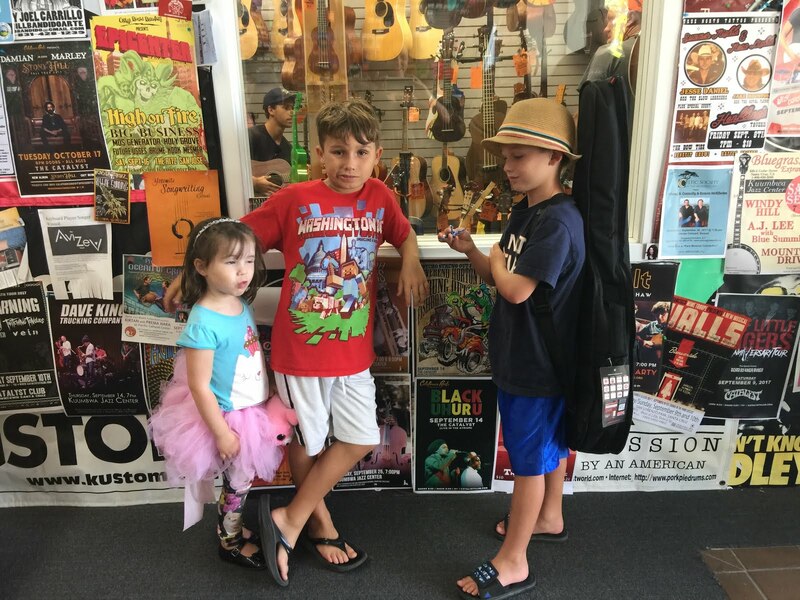 The art of storytelling is a skill that is passed down from one generation to the next. Moreover it is a social and cultural activity that can be used to entertain, inform and pass on traditions. In the schoolyard stories are shared between peers and can often act as a way to build friendships and make connections across cultures and boundaries. So why not use storytelling to shape students' learning experience, create connections across content areas, and capture their growth and progress in mastering learning objectives. Digital storytelling has the power to capture students' experiences and ideas using photos, video and their stories. If we look at storytelling as a discrete skill there is much our students can acquire in this craft: critical thinking (what is the significance of the event), retelling, reflecting (why does it matter), speaking, listening, synthesizing information, making connections, and much more. Many of these skills have much value when it comes to student learning. 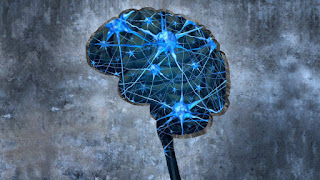 In fact brain research suggests when students have an opportunity to retrieve information, rehearse, interleave concepts, and make connections, this promotes memory making and forgetting is less likely to occur. 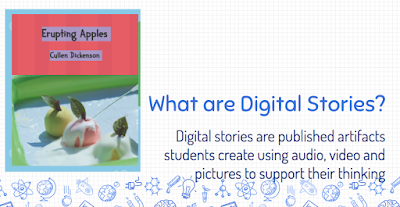 Digital Stories are published artifacts students create and share using audio, video and pictures to support their thinking. Using digital tools such as: imovie, adobe spark, chatterpix, writereader and shadowpuppet can extend the art of storytelling beyond the playground, a field trip or science experiment and capture students' thinking, imagination, beliefs and values. 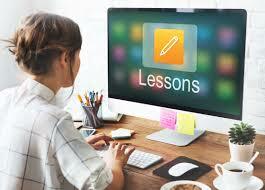 As a final product students can use digital stories to retell what they did, what they learned and why it matters. 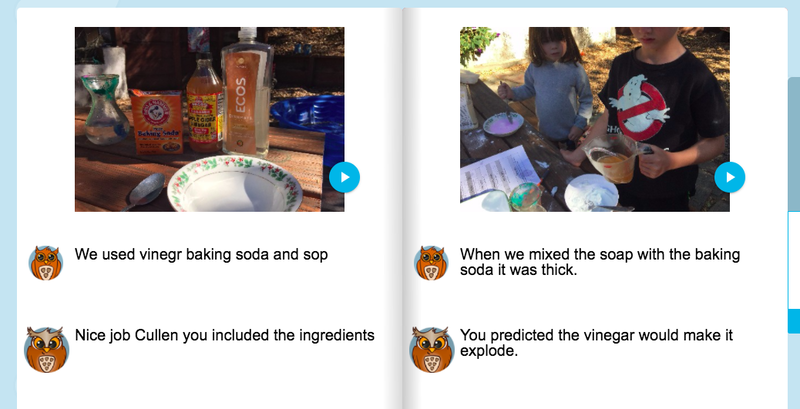 As a beginning activity students can share digital stories as way to record what they already know about a concept, skill or phenomenon and extend their thinking with an essential question. Throughout the learning process use photos to capture students engaged in inquiry or an investigation. Use the photos as a tool for students' to reflect on their learning progress. This week I had the opportunity to present on how to use "Digital Stories in Science to Plan and Conduct Investigations" we were fortunate enough to be at the Monterey Bay Aquarium for this conference so participants were asked to go to an exhibition and capture some photos that could be used to spark an investigation with students in their class. 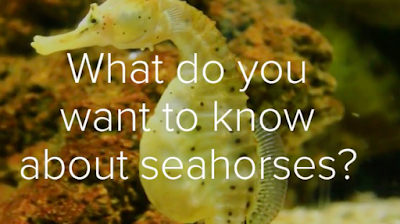 One of the participants used a digital storyboard to make a KWL chart about seahorses. Click on the picture to see her story. So why not use storytelling to shape students' learning experience, create connections across content areas, and capture their growth and progress in mastering learning objectives. I guarantee they will love it and probably you will too. From Kindergarten to twelfth grade every kid has a story to tell. 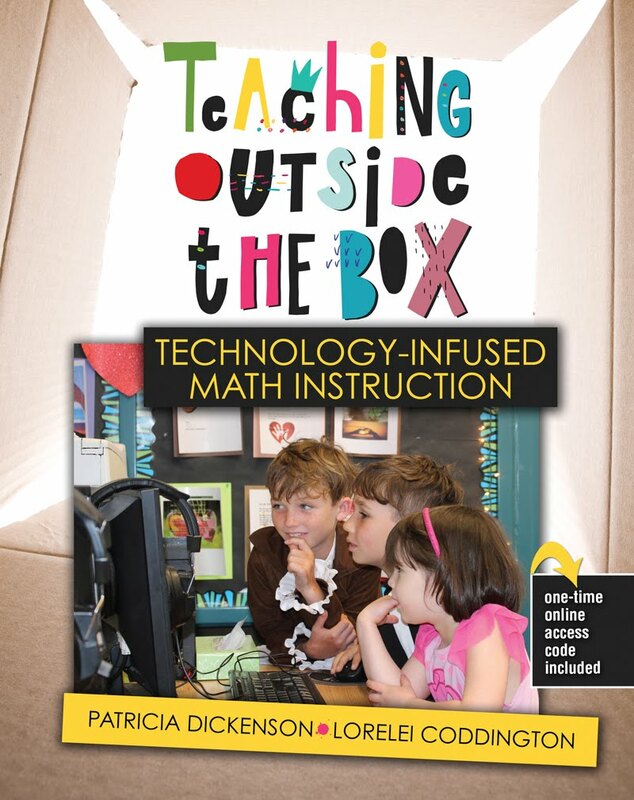 Want to learn more about how you can use digital storytelling in your class? Click through my presentation, ask a question in the comments below or share an idea! and share your digital story.